Celebrate in style with the Wine Cooler Keaton Set of 3 by Eichholtz. 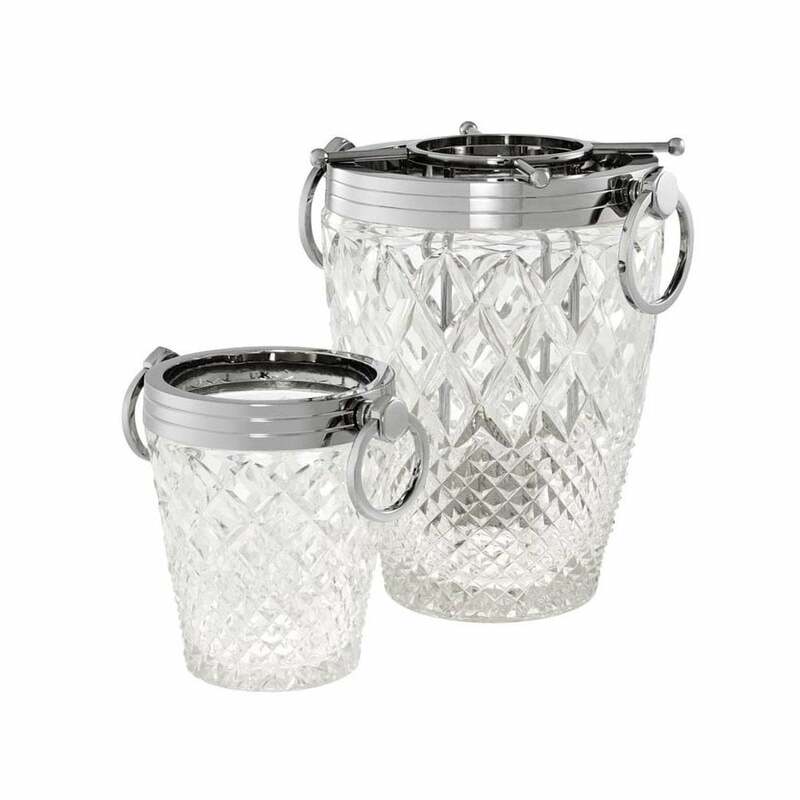 Hand-crafted by skilled artisans, the assortment of three wine coolers feature a hand-blown, clear cut glass form with a nickel finish. Bring luxury to the table by serving champagne from the functional nickel holder that sits elegantly within the cooler. A versatile accessory, this classic design would make a beautiful wedding or anniversary gift. Make an enquiry for more information.